Is your cat moping around this holiday season? Is she bored of all of her little stuffed toys? Does he ignore that oh-so-awesome scratching post you bought him, even when you cover it with catnip? Let your cat play games on your iPad! 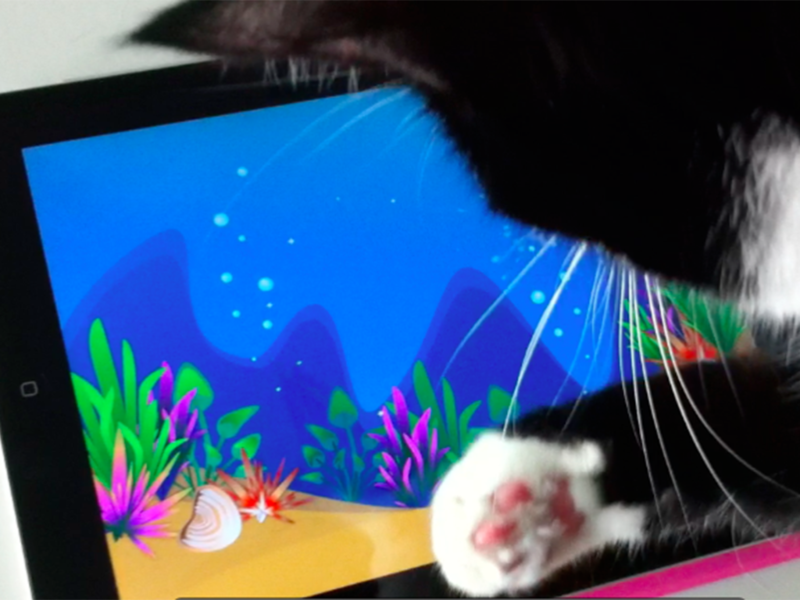 Just in time for Christmas, my newest app Cat Game:Aquarium came out on the App Store. Inside the app, you get a never-ending-mode for cats with no levels, and no scores – just fish coming in and out of the aquarium – your cat can swat at them to make them explode into bubbles. For kids or adults, there’s a level-based playing mode where you can compete for the top score through GameCenter. Our cat Mango comes running when he hears the theme music for this app, and I hope your cat does too!